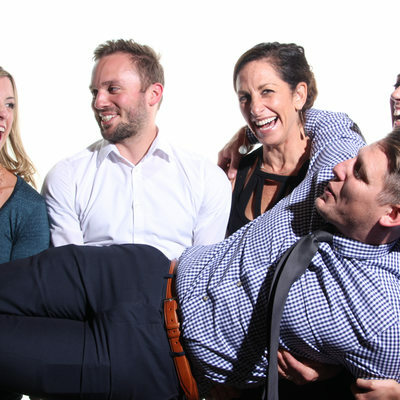 Thinking about adding a little more fun at your wedding? Having a great time on your wedding day is extremely important to me. 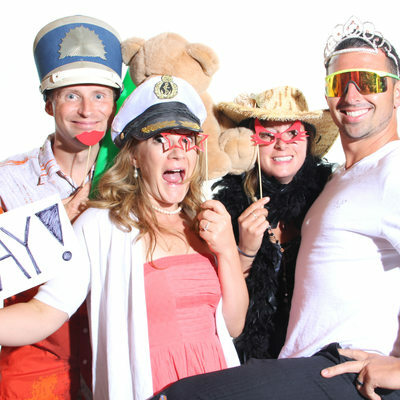 In addition to the wedding packages, We now provide photo booth rental service in the Greater Seattle area and beyond! Our equipments are state of the art, self operated, and open air style. Everyone can come and watch as the action is happening. It is the best way to engage the guest and celebrate your big day to the fullest extent. 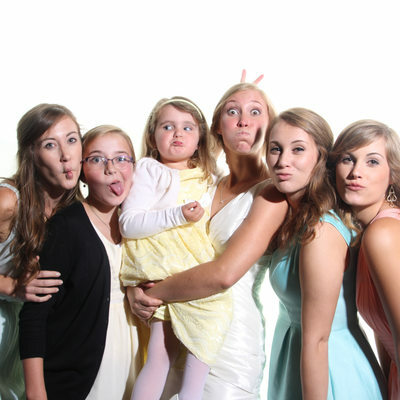 Check the photo booth availability here for your wedding day or any corporate/private event you are planning! 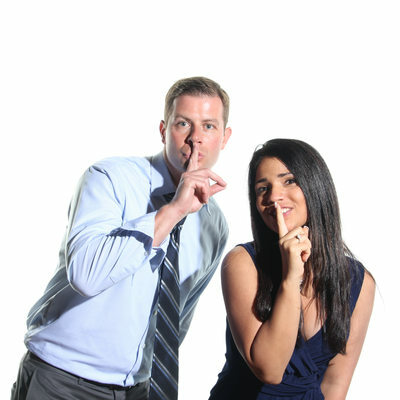 To access photo booth pictures from your event. Click here! Can you put our company logo or names on the photo strips? Absolutely! 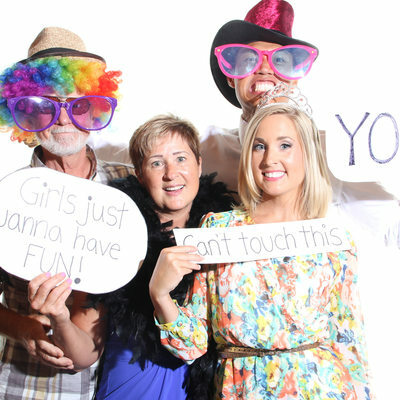 We custom design the layout on the photo booth strip for you. You're totally welcome to send us anything you'd like to add or give us any directions. 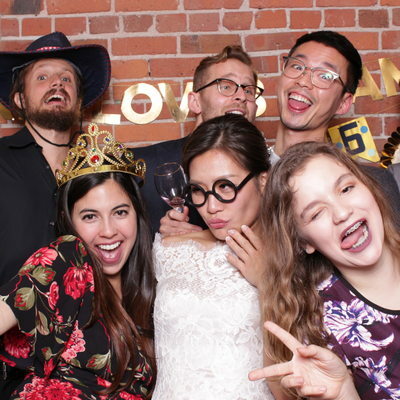 Do you provide props for the photo booth? Of course. While we supply a lot of fun props on our own. It'd never hurt to bring some more of your own. How much space do I need to have the photo booth set up? 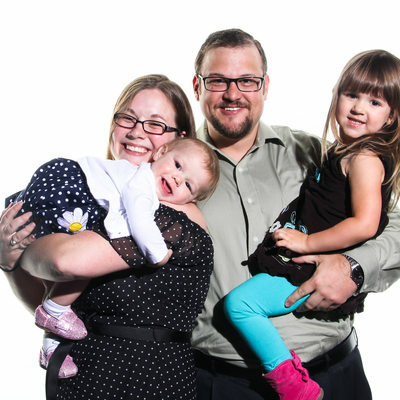 Usually a photo booth setup requires a 10 feet by 10 feet wall space and also about 10 feet of the distance from the camera to the booth background itself. 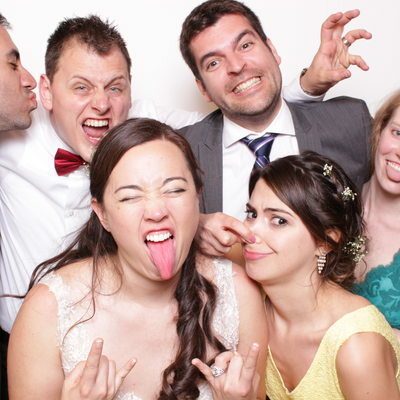 An 120AC outlet or an extension chord to the outlet is also required to operate the photo booth. Is it possible to set up the photo booth in an outdoor setting? No problem at all. 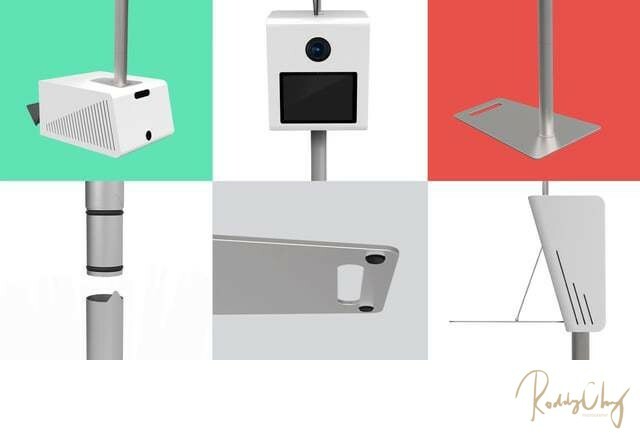 However, we ask that there will be some type of hard cover such as a tent or roof that will protect the booth station in case it rains or snows. Can I designate my own spot for the photo booth backdrop? Wherever you want! Sometimes you may come across a perfect spot at the venue for the photo booth backdrop such brick walls or shining curtains. As long as it meets the set up requirement we'd be more than happy to accommodate your request! I'm not getting married. Can I hire you for other types of events? You bet! 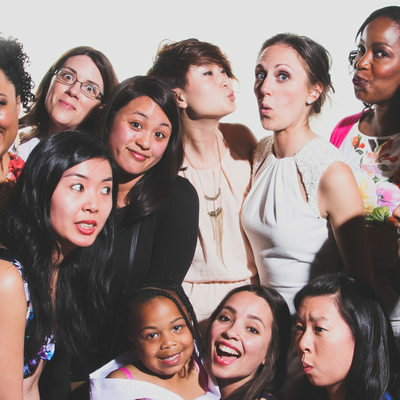 A photo booth can be rented for any occasion. Birthday parties. Corporate Events. Company promotions. Or anything you can think of. Wherever there's a photo booth, there is fun. We use the most advanced photo booth equipment. Clean look and open air style.